(Director) Andrea E. Leland. Yurumein (Homeland). January 2014. 50-minute documentary / DVD format / 4:3 aspect ratio / surround sound. Yurumein by Andrea E. Leland effectively begins twice: first it begins in St. Vincent, and then, as a reflection of the contemporary relocation of the Garifuna, it begins again in Los Angeles, which probably has the largest number of Garifuna people outside of Central America and the Caribbean. The core of the film ostensibly follows the journey of Cadrin Gill, a Los Angeles family doctor, who self-identifies as Carib and who was born in Sandy Bay, St. Vincent, one of the residential areas of the island that contains a sizeable Carib population. Focusing on the reclamation of pride in Carib identity, and the beginnings of a cultural resurgence that happens in part as a transnational process of reconnecting indigenous communities in the Caribbean region (in this case the relinking of Honduran Garifuna and Vincentian Caribs), this film serves as an important document of the contemporary presence of indigeneity in the Caribbean. The film thus helps to fill in the map of indigenous cultural resurgence in the Caribbean, of indigenous communities that did not simply vanish due to European colonization, but that resisted and repaired what they could. In this sense the documentary helps to further challenge centuries of writings, and even modern historiography, whose emphases have been Carib decline and extinction. In addition, as there has been so little produced, whether in film or in writing, about the Caribs/Gairfuna of St. Vincent, apart from the occasional thesis or conference paper offered within regional institutions, this film further serves to fill in the gaps in our knowledge. 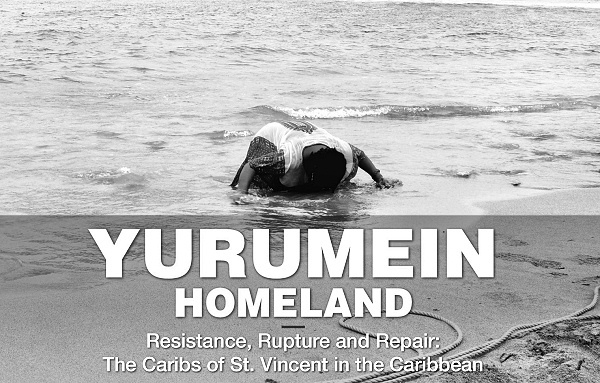 Yurumein represents part of a growing series of films on indigenous Caribbean topics, but is unique as one that focuses on St. Vincent. As a contribution to documentaries about the indigenous Caribbean, this film joins Last of the Karaphuna (Philip Thorneycroft Teuscher, 1983, focusing on the Dominica Carib Reserve); Caribbean Eye: Indigenous Survivors (UNESCO/Banyan, 1991, focusing on contemporary indigenous communities in Guyana, Trinidad, Dominica, and St. Vincent); The Garifuna Journey (also by Andrea Leland, 1998, focusing on Belize); The Quest of the Carib Canoe (Eugene Jarecki, 2000, focusing primarily on Dominica’s Caribs, but also bringing special attention to Trinidad and Guyana); Three Kings of Belize (Katia Paradis, 2007, focusing on Belize, including a focus on a Garifuna musician); and The Amerindians (Tracy Assing, 2010, focusing on Trinidad’s Carib Community). On a local level in St. Vincent, this paradigm change has also occurred. “We were brought up as Englishmen, so we had an English mentality,” Dr. Gill explains, “and consequently there was not much knowledge about my history…. [I]n my days, it was not ‘fashionable’ to be called ‘Carib.’” Echoing what I found in my research in Trinidad, the film presents a series of individuals in Sandy Bay who explain that they did not know of their Carib ancestry until they reached adulthood, while others did know and could not hide it and were thus targeted for discrimination in the wider society as “ignorant,” “backward,” “warlike” and “cannibal” people, leading some to suppress their own identification as Carib. (Unfortunately, this juxtaposition of lack of self-awareness as Carib, while the wider society discriminates against them as Carib, is a paradox left unexplored in the film.) While there is now a positive acknowledgment of their ancestral ties (and explaining why this has happened recently exceeds both the scope of the film and this review), Caribs in this film also reflect on what they say is their own lack of personal knowledge of Carib history and language. While they point to a number of surviving traditions, such as the making of cassava bread (which one woman claims, without much credibility, to have learned to do all on her own), it is clear that the identity is also understood in racial terms, with a not infrequent reference in the film to phenotypical markers, specifically dealing with one’s face and one’s hair. The kind of racialization that historically distinguished the Caribs of northern St. Vincent, especially in the towns of Orange Hill, Oven Land, Sandy Bay, Point, Owia, and Fancy, from the Garifuna or “Black Carib” of the southern town of Greggs (which is never mentioned in this film), is not confronted in this film. Indeed, the seemingly inexplicable adoption of “Garifuna” for all Carib descendants was one of the surprising things I learned from this film, and as a local historian explains, this is “relatively new” (but we are not informed as to why it has happened). On an international level, the film speaks of examples where Caribs today are still stereotyped as “wild cannibals” in a few yet influential quarters. Here the film showcases Disney’s Pirates of the Caribbean (2003- ) as one of the latest examples of this malignant stereotyping. Those presented in this documentary explicitly comment on their task as one of combating the influence of Hollywood. Further adding weight to the idea of a paradigm shift are the words of the prime minister of St. Vincent and the Grenadines, Ralph Gonsalves, who in speaking of the brutality of British rule declares: “let us not mince words: genocide by the British.” What is significant is the occasion on which these words were spoken: National Hero’s Day—an annual public commemoration of Joseph Chatoyer, a long sought-after national holiday first demanded by the Committee for the Development of the Carib Community (CDCC), an organization not mentioned in this film. Demands for such a commemoration were rejected by the government for numerous years. In one scene of the film, we can barely make out a banner in the background on which these words are painted: “Indigenous People’s Day Rally.” Indigenous People’s Day is another of those events that Sherelene Roberts explained the CDCC had long pursued. Some shortcomings of this film should also be noted, aside from some of the gaps and silences noted above. We are told that 2 percent of St. Vincent’s 120,000 people are Caribs, but the source for this not indicated, nor is the deeply problematic issue of counting such a contested and suppressed identity considered. Moreover, Roberts reported a figure of 3.1 percent reporting themselves as Carib during the 1991 Population Census. The film might then lead some to believe that there has been a decline since then. The film also reports that there are a total of 400,000 Garifuna in the United States, Central America, and Caribbean combined, which is a very significant size (again, a source would have been useful). Aside from these points, there is no debate in the film about the problems with attempting to phenotypically define Caribness by the quality of one’s hair, and whether this could mean an implicit rejection of one’s Africanness. The film in fact generally ignores the African dimension of Garifuna identity and history (even when some of the traditions being taught by Honduran Garifunas to their Vincentian hosts are creole Afro-Caribbean ones). The fact that a largely African-descended population is the only population in the region to have kept the Island Carib language alive is surely one of the most spectacular stories of Caribbean history, and a key sign of trouble for any attempts to racialize indigeneity or to distill it out of larger processes of creolization. There is also no discussion in the film about the relations between Garifuna/Caribs and the national government. We hear Prime Minister Gonsalves delivering a stirring speech about British genocide against the Caribs, but then the film ends by pointing out that the Vincentian island of Balliceaux, where the Garifuna were imprisoned in 1795 before their exile to Honduras, rather than being safeguarded as land the Garifuna consider to be sacred has instead been put up for sale to private buyers. Also in the context of Balliceaux, the narrative in the film first claims that a radical cultural eradication occurred, but that then the survivors carried their culture intact to Honduras. Left like that, the statement makes no sense, and we should expect that a project that lists dozens of contributors in its credits would permit the opportunity for some to review and point out such contradictions that sometimes rendered the film’s narrative a bit too shaky. In summary, several aspects of Andrea Leland’s Yurumein documentary are particularly noteworthy. One is the emphasis of an acute consciousness by Vincentian Caribs of their “cultural loss” and at the same time a renewed pride in their Carib ancestry. Another is the dimension of transnational resurgence, with Garifuna from Central America (originally from St. Vincent) returning to spearhead a renewal of Carib pride and to share traditions. A third observation we can make is about the degree to which this documentary is a nonacademic production, moreover one that is not mediated or narrated by any academic expert. A fourth notable aspect is the extent to which the project involved in making this documentary was locally constituted. While the film’s gaps and the level of the narrative are bound to receive mixed reviews from academic audiences, this documentary could be useful for first- or second-year students in the North American university/college setting, and for the general public. With twenty years of immersion in indigenous Caribbean research, my own special interest has me enthusiastic to see just about any serious attempt at a documentary on the region’s indigenous peoples, given the paucity of such materials and my continued inability to complete my own long overdue video productions. One has to recognize the considerable effort that went into the making of this documentary, especially given its broad-based network of local contributors, the abundance of available narratives, the political implications of those narratives, the numerous topics deserving special attention, coverage of key local events, and on top of it all an effort to insert the viewer into some aspects of the daily lives of today’s Vincentian Caribs. With so many “moving pieces,” frustration and even failure are more likely than success. This documentary instead succeeds in encompassing a wide range of contemporary issues and historical processes, in a visually engaging manner, and really without trying to tell viewers what to think. In this last respect, it becomes ideal for the classroom setting because it leaves gaps to be filled in by a lecturer, and the work of interpretation open to discussion in the classroom. I do not think, however, that this documentary should be viewed alone in the context of a course on the Caribbean or on indigenous peoples (or both), that is, in the absence of any other scholarly materials in this topic area. Having said that, it is at present the best current filmic resource on an indigenous community in the Caribbean, one that has long been virtually invisible in the academic literature and documentaries. Others may have done more, but they are becoming increasingly dated. That this documentary has already received some excellent reviews, including by specialists in Garifuna studies, further underscores its virtues.
. Joseph O. Palacio, “Caribbean Indigenous Peoples’ Journey toward Self-Discovery,” Cultural Survival Quarterly 13, no. 3 (1989): 49-51.
. Maximilian C. Forte, Ruins of Absence, Presence of Caribs: (Post)Colonial Representations of Aboriginality in Trinidad and Tobago (Gainesville: University Press of Florida, 2005).
. Steven Webster, “Postmodernist Theory and the Sublimation of Maori Culture,” Oceania 63, no. 3 (1993): 222-239.
. Shereline L. Roberts, “The Integration of the Caribs into the Vincentian Society” (BA thesis, University of the West Indies, 1996). Citation: MAXIMILIAN FORTE. Review of (Director) Andrea E. Leland, Yurumein (Homeland). H-Caribbean, H-Net Reviews. June, 2014.